2019 is shaping up to be a great year for Southern Fryed, with shows in New Mexico, Colorado, Wyoming, and Nebraska already on the books. New dates are being added continually, including the just-announced appearance at the Rocky Mountain Country Music Awards. Please get in touch at 307.214.1256 or booking@saddle13.com for bookings, ticket pricing, or interviews. Southern Fryed is known as one of the Rocky Mountain region’s most up-and-coming country acts! They bring a high-energy performance with their unique flavor of Rocky Mountain Country, deeply rooted in Texas Red Dirt and Southern Rock. Southern Fryed has been performing together for ten years, and have exploded onto the regional scene, becoming a must-see act throughout the Front Range. They deliver an interactive and powerful performance that not only leaves the crowd wanting more, but makes them feel like they’re part of the show! From heart-warming ballads to the latest Texas Country hits, their music variety speaks to everyone, packing the dance floor at every show! Past performances include the biggest venues and dancehalls across the region, from Bushwackers in Omaha, Nebraska, to the Outlaw Saloon in their hometown of Cheyenne, Wyoming. When the big acts come to town, Southern Fryed is the go-to opening act, and have supported the likes of Cody Johnson, Casey Donahew, William Clark Green, Granger Smith, Lady Antebellum, Florida Georgia Line, Gary Allen, and Dwight Yoakam... just to name a few. When it comes to the big evet, these guys know how to keep the energy high, too! Southern Fryed performs regularly at County Fairs, festivals, and private events across Nebraska, Wyoming, and Colorado. 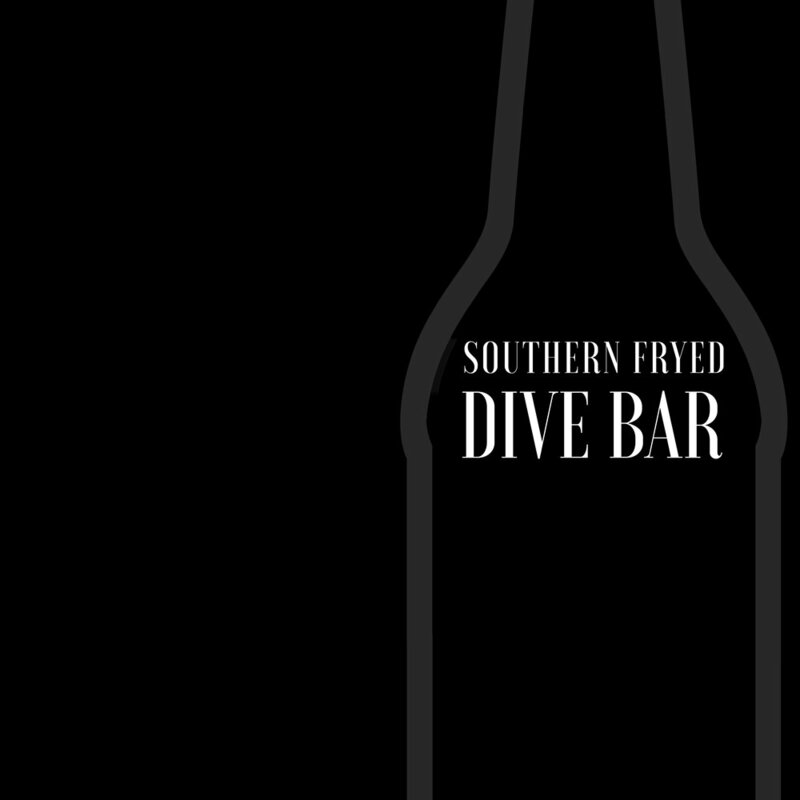 Southern Fryed released their debut album “bluecollartown” in 2016, receiving tremendous reviews from fans. “bluecollartown” was nominated for Album of the Year at the 2016 Rocky Mountain Country Music Awards, along with nominations for Songwriter of the Year for Russ Brown in 2016 and 2017. Southern Fryed band members include: front man Russ Brown, Andy Woods on bass and vocals, Jack Porter on lead guitar and vocals, and Tim Howard on drums. Front man Russ Brown, a North Platte NE native, has been serving in the US Air Force for 20 years. Early on, he competed in the Colgate Country Showdown, and was a semi-finalist for America’s Rising Stars. In 2005, he was signed by Music City Network out of Nashville as part of a promotional deal. After the company folded that year, Russ continued to write songs and follow his passion. He competed in the 2006 Galaxy of Stars competition, finishing fourth in the finals. In 2008, he formed the band known today as Southern Fryed. Bass player Andy Woods, originally from Wheatland WY, is now a REALTOR® in Cheyenne. In his early years, he played drums in a rock band while in high school, traveling Wyoming and Nebraska. Following high school, Andy played in a variety of bands in Cheyenne until becoming a permanent member of Southern Fryed. Originally brought on as the drummer, the band needed a bass player, so Andy stepped up and has become a five-string fury. Lead guitarist Jack Porter originated in Carpenter WY, and is a highly touted diesel mechanic in Cheyenne. He played for various bands before his extraordinary talent caught the eye of the band, and after six days with Southern Fryed, he made his debut performance at Cheyenne Frontier Days. Drummer Tim Howard joined the band in January 2018. At the age of 14, Tim received his first drum kit and started learning from his father, who played in his early years. A couple years down the road, he played in rock cover bands and tribute bands. After receiving his Bachelors degree in chemical engineering from Michigan State University, he moved to Texas. Moving to Texas brought a new light to country music for Tim as he picked up on artists thriving in the red dirt country genre. Tim's move to Cheyenne, WY was driven by his passion for hunting and his career. However, Tim soon found himself right at home in the western frontier, and behind the drums driving the rhythm section for Southern Fryed. December 2018 Loveland, CO – The 2018 Rocky Mountain Country Music Awards nominations have been announced, and Southern Fryed is honored that Dive Bar is in the running for Album of the Year. The band is also proud to be performing live at the RMCMA show on January 13, 2019, at the Monfort Concert Hall in Greeley, Colorado. Tickets may be purchased here. September 2017 Loveland, CO – Southern Fryed frontman Russ Brown was nominated for Songwriter of the Year at the 2017 Rocky Mountain Country Music Awards. This is the second year in a row he has been nominated for the award. August 2016 Loveland, CO – Southern Fryed is honored that our debut album, bluecollartown, has been nominated for Album of the Year by the 2016 Rocky Mountain Country Music Awards. Presented by iHeart Media, Greeley Stampede, and Rialto Theater Center, the inaugural Rocky Mountain Country Music Awards Show will be held on Saturday, October 8, at the Rialto Theater Center in Loveland, Colorado. Celebrating the best of the best in country music from around Colorado and Wyoming, the show will include a live performance by Ned LeDoux, in honor of his late father's Lifetime Achievement Award – going forward, the award will be named after Chris LeDoux, Wyoming's country music legend. Please get in touch at 307.214.1256 or booking@saddle13.com for bookings, ticket pricing, interviews, or a promo copy of Dive Bar.